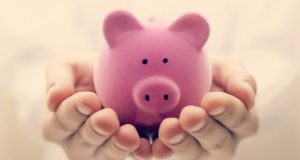 I can confidently predict that at least 50% of you reading this blog are having trouble saving cash, or at least don’t think that you have saved enough for the future. (Well, that’s why my blog is here in the first place). If I ask why, surely, about 90% of you will respond with “I am not earning enough”. Although I’m not about to blame you, I would have to disagree. I am not here acting like an expert. In fact, I have struggled before and have blurted out the same exact words countless of times. When I gave it a thought, I almost slapped myself in the face (I actually wish I did). I was a single 27-year-old living with parents, which meant no responsibilities – no rent, no children to feed or send to school. Yet I had no idea where all my money had gone. And then the harsh reality hit me. I had nothing to show for all those years of hard work not because I wasn’t earning enough. Because the truth is, no amount of income is ever enough for a person who doesn’t know or doesn’t plan to save at all. I didn’t care back then. I was too thrilled when I got a raise that I made sure to live like I was indeed earning much. I dined at the finest restaurants, bought designer clothes, went out to party every weekend. My lifestyle had definitely improved on every aspect – except that I was still living paycheque to paycheque. So what should you do to avoid the pitfalls that I once fell into? First of all, you need to have that conscious desire to save money. You need to want it that bad and put your heart and mind into it. Whether it’s for your retirement or for a short-term goal, you need to focus on what it is that you’re saving for. Next, you have to commit to setting aside a certain part of your income. It doesn’t have to be that big. 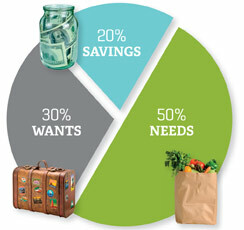 Just know how much you can afford to take out, and budget the difference for your living expenses. Be realistic. Build your emergency fund first. There will always be that point when disasters come all at the same time, and you’ll need to be ready, or else you’ll find yourself buried in debt. Lastly, do not get carried away. Someday, you’ll take on a new, higher paying job, or get promoted. While it would be nice to enjoy the fruits of your labour, do not let it become a lifestyle. Spend as you would with your previous income and invest the extra money that you have now in the proper places.